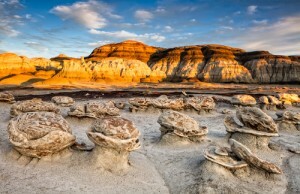 New Mexico is famous for its vast deserts, rugged mountain ranges, clear lakes, and forests. Along with ancient Pueblo and Aztec ruins, there’s a lot to love about New Mexico. Preserving New Mexico is key to letting the Land of Enchantment be enjoyed by future generations. Solar energy is key to not only preserving New Mexico but helping New Mexicans save money on their energy bills. With ample sunlight, it’s the perfect opportunity to call up a New Mexico solar installer to see how much you could gain from going solar. New Mexico has a fantastic RPS plan. As of right now, New Mexico’s RPS calls for about 30% of the state’s energy production to come from renewable energy production methods by 2020. This is an incredible plan and as far as we know, one of the best RPS plans in the nation. New Mexico is a leader when it comes to encouraging both utility companies and private citizens to consider solar energy. But New Mexico’s solar carve out is nothing to sneeze at either. New Mexico calls for 4% of New Mexico’s RPS to be met by solar panel installations. And if that’s not enough, .6% of total energy must be produced from small-scale installations (for example, your home) as opposed to giant power plants or commercial installations. You can save an incredible amount of money by relying on solar energy in New Mexico. Energy, on average, costs New Mexicans $.13/kwh, which is right on point with the national average. Add in hot summers and the fact that your energy is only cheap because of an over-dependence on fossil fuels (and may go up as resources dwindle). New Mexico is uniquely primed for adopting solar energy. A typical system will set you back about $25,000 dollars. Indeed, that’s a very big number for most of us. But here comes the fun part, in New Mexico, you get to enjoy several rebates, tax credits and incentives (see below), once we apply all of that, you are now looking at about $14,500! This is quite amazing. And that does not include the first year savings. Calculating all factors, your return on investment will be about 10 years , which is a great investment, regardless. In addition to that, your home value will be much higher (up to $25,0000 dollars in some cases), and you are doing your little part in helping our earth and your immediate surroundings. The example above is just an estimate. Every home is unique, and so every home is going to do a little bit different. In order for you ro receive an exact estimate of your savings and cost it will be wise to connect with local solar experts partners in your area. A friendly installer will talk to you and guide you through all of your options. And it is 100% free. Here are more Case Studies of New Mexico Solar Panels: Recently, a joint grid project was conducted in cooperation with the New Mexican government, the United States Department of Energy, and many more partners. These so-called smart grids are capable of producing up to 75% of the system’s energy needs. An article in the Santa Fe New Mexican found that solar panel systems installed in New Mexican have experienced an increase of over 2050% percent when it comes to the amount of power generated by the system. Over 800 new PV systems were installed in Santa Fe Country alone since 2008. Also citing a study from the US Department of Energy, the New Mexican found that a 4-kilowatt solar panel array can add up to $16,000 to the value of a home. Don’t wait to purchase your solar system. With ample sunlight and New Mexico’s wonderful array of incentives and tax breaks, there’s no better time than now to consider a solar panel system. While the cost of your average solar power system can be up to $25,000, the system can pay for itself within about ten years and help generate a profit of about $28 thousand or more over the lifespan of the system depending on your unique situation. Get in touch with our trusted solar partners to find out what you can stand to gain, based on your own unique situation. You can expect to save big on your utility bills thanks to the power of a solar panel system. Electricity rates in New Mexican may be close to the national average but there’s still a lot of incentive, nonetheless, to figure out how you can save on your utilities. New Mexicans are no strangers to the toll summer can take on utility bills. Between air conditioning, there’s a lot of incentive to figure out how to take advantage of the power of the sun. On average, residents can save up to $655 per year on their utilities, although results may vary depending on your own unique situation. Unfortunately, there are no solar rebates available in New Mexico. However, New Mexicans can take advantage of a number of tax credits, exemptions and even net metering to help them save on installing a solar energy system. In New Mexico, you can benefit from a state tax credit which allows you to redeem up to 10% of your panel’s cost. Solar tax credits are, of course, capped at $9,000 but can be carried over a period of ten years or until it’s fully expended. Up until the end of 2016, you’ll still be eligible to redeem the 30% Federal solar tax credit. This allows you to redeem 30% of the system’s value. While this is only available to systems installed before or during 2016, it’s a great tax credit to take advantage of for as long as it’s around. New Mexico offers a 100% property tax exemption on solar panel systems, allowing you to benefit from the increased home value that property tax exemptions add onto your home without having to worry about paying additional taxes on the increased home value. New Mexico does offer 100% sales tax exemptions on solar panel systems. And you are not subject to alternative sales tax exemptions upon installation. Need help affording a solar panel system in New Mexico? No worries. There are plenty of financing options to help you afford a PV system and benefit immediately from the cut in utility costs. Considering leasing, there are plenty of financing options when it comes to obtaining a solar power for zero money down. Question? Consider your own unique situation and talk to local solar experts in New Mexico to find out more about what you could stand to gain from this opportunity. Is It Worth Investing in Residential Solar Energy in New Mexico? 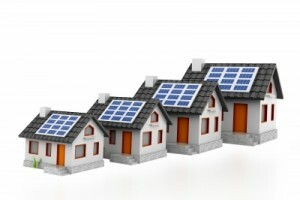 Investing in residential solar energy is a worthy thing to consider. Whether you buy or lease a solar panels, you can expect to gain a lot from producing your own renewable energy. Since there’s no need to put up cash upfront, leasing a system in New Mexico can be a fantastic way to benefit almost immediately from the power of the sun and reduce your energy bill. Buying a system, however, allows you to also take advantage of tax exemptions, which you may not necessarily be able to benefit from by leasing a system. Sure, the system can be a hefty upfront investment. But depending on your unique situation, your solar panel system may pay for itself within a relatively short timeframe and allow you to make a significant profit over the lifespan of the system. When you lease a system, you’ll be able to obtain it for zero money down. If you consider most typical leases, most solar panel leases last for about twenty years, with the option of later purchasing the system once your lease expires. 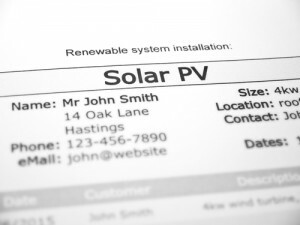 When you lease a system, you’ll be able to benefit almost immediately from savings due to your solar PV quotes. You’ll only need to make payments on your lease and whatever electricity you do need to draw from utilities (although this can depend on your own unique situation). Without having to make that initial twenty-five thousand dollar investment, this can be a great way to benefit almost immediately from potential energy savings. But purchasing a system comes with its own gains as well. You’ll be able to benefit from tax exemptions. And because the system pays for itself within ten years, you’ll also directly benefit from any potential profits the system can produce. While New Mexico may not offer a specific solar rebate, there are plenty of other incentives to consider when purchasing a solar panel system in New Mexico. Residents can consider the state and federal tax credit as well as property and sales tax exemptions to help them save money on installation. Can I Lease The System in New Mexico? Should I Buy it Instead? New Mexicans have the option of leasing a solar panel system, which can make it much more easy to obtain regardless of your own individual situation. Whether you lease or buy depends on you. Leasing a system will allow you to obtain the system for zero money down. But one should keep in mind that you won’t personally be able to redeem tax credits or exemptions while under the terms of the lease. Purchasing a system may require a hefty investment but this is offset by the existing tax credits and exemptions as well as any potential savings you can stand to gain from installing the system. What option you choose to go with depends on your own unique situation. 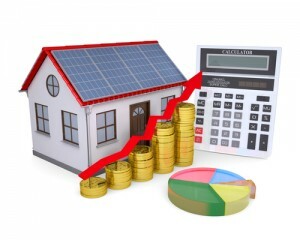 Another option you may want to consider is a solar loan. Many financial institutions in New Mexico, realizing the benefits of solar energy, are starting to offer loans to help people afford solar panels. You will need to consider your financial situation and the terms of the loan. Butthis can be a great way to own the system without a hefty initial investment. Talk to our solar partners nearby to consider what may work best for you and what benefits you can gain. What About Net Metering in New Mexico? New Mexicans can benefit from net metering and other programs to help save money on their utilities. Net metering is a process that requires one to attach their panels to the general electric grid. The output of the system can then be monitored. Any excess energy produced by the system can then be redeemed later on your utility bill as credits. In New Mexico, these credits can either roll over to the next month if they’re not used or your utility company will have to pay you for the output. You can also benefit from solar power performance payments. These programs enable utility companies to pay for the energy produced by your system. In most applications, these payments fit into the net metering program. In New Mexico, there are three programs that depend on where you live. The first is the El Paso Electric Company’s REC Purchase program, which will pay up to $0.02 per kilowatt-hour over the course of eight years. The second is the PNM’s Performance-Based Solar PV Program. Like the El Paso program, this allows you to sign up for an eight-year contract which offers about $0.035 per kilowatt-hour. Xcel Energy’s Solar Rewards Program can pay up to $.08 per kilowatt-hour over a twelve-year contract. One should keep in mind that these programs are tiered, meaning at as more people participate in these programs, the benefits may be lowered. So if you would like to benefit from this program, act quickly. Solar power is a great investment in New Mexico. The Land of Enchantment is filled to the brim with historical and natural wonders. Adopting solar energy can be a great way to do your part and help conserve this wonderful state. Along with net metering and potential tax credits and exemptions, you can expect to save big on your utilities. You may even turn over a nice profit over the lifespan of the system. But if you would like to benefit from the system without having to make a hefty investment, you can always consider a solar loan or a solar lease, allowing you to save big on your utility bills almost immediately without a huge investment. Considering how much you likely spend on your utility bills already, wouldn’t you like a reprieve and the chance to become more independent from the energy grid? Solar energy is a fantastic investment to consider in New Mexico. And with New Mexico’s aggressive RPS and solar carve-outs, New Mexico is a leader in encouraging residents to consider the benefits of solar energy.